Now that infinix is now even getting featured on a gsmarena news, I guess it's safe to say that the brand is now stepping up its game. 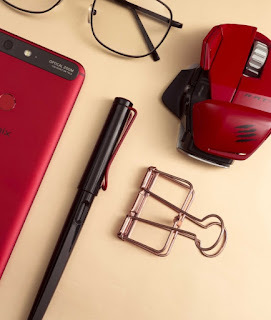 Infinix is currently working on a new successor to the infinix Zero 4 and the device is expected to be a massive upgrade to it's predecessor. The upcoming infinix Zero 5 is expected to feature an edge to edge display with an 18:9 aspect ratio. The new display is the current trend in the smartphone market and it's also the first time infinix will be implementing both the edge to edge display and 18:9 aspect ratio on any of its smartphone. The device which is expected to launch in Dubai on the 14th of November, this year 2017 will not only feature the infinity display but also a dual rear camera setup. The device is also expected to feature a 6GB RAM and a massive 128GB internal storage. Infinix already launched the Hot 5, S2, and Note 4 this year, so which expect the launch of their upcoming Zero 5 to the last smartphone from the brand this year and although there is no official price yet, it is expected to sell for INR20,000 which is approximately $308.